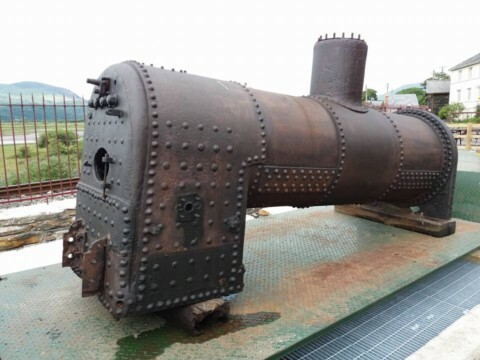 The Adamson boiler fitted to the loco in 1912 and condemned in 1939 was found beyond any sensible repair. As a result two 2016&17 saw the investment of considerable amounts of time and effort in designing and building a new boiler at Boston Lodge. 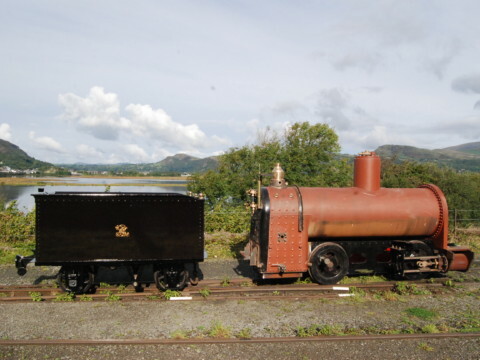 The tender last used with Welsh Pony, heavily modified, is now paired with Linda. An authentic replica tender has been created with painstaking attention to detail. 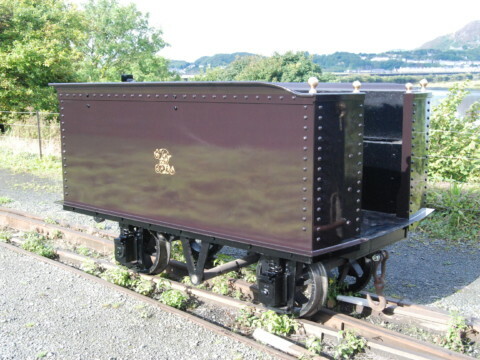 Completed in 2017 the tender is seen finished in the temporary deep plumb livery that the loco will carry during initial trials. The completed parts of Welsh Pony assembled together outside the old engine shed at Boston Lodge. Work will resume in Spring 2018. Your help could keep the momentum going! Rather than consign them to the skip, the frames from the 1890 rebuild of Welsh Pony along with cylinders from 1923 and the Adamson boiler of 1912 are stored undercover from future generations to research and understand. 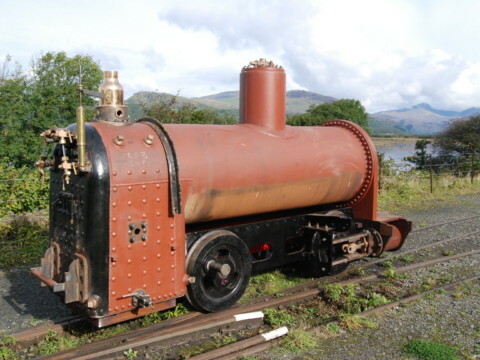 The most enigmatic of the original Ffestiniog locos, Welsh Pony, was the third engine in line for restoration to service when the railway was reopened in the 1950s, but the job was never done. All this is about to change. 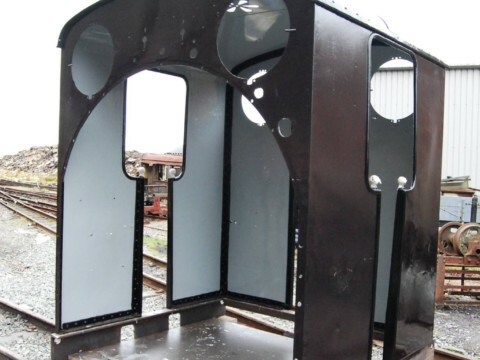 Work is progressing on the sensitive restoration of Welsh Pony’s cab. Some platework has needed replacement, however much of the cab has been left untouched save for slight repairs. The cab is now ready for painting. The wheel sets have been re-united with the freshly constructed frames. Welsh Pony’s frames are still on the bench at Boston Lodge, as work continues. They are now starting to be painted. Boston Lodge Manager Tony Williams holds one of the original motion brackets showing its location on the new frames. CommentsComments Off on Motion Brackets….